Mcdonalds Monopoly is back! 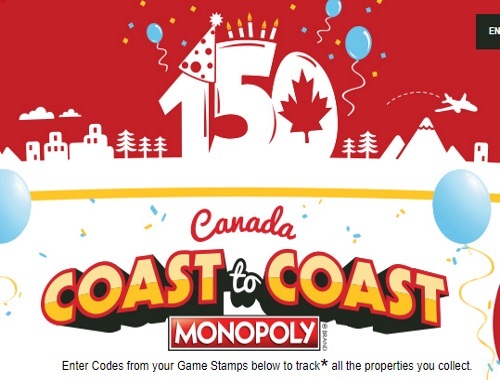 Mcdonalds is celebrating Canada's 150th this year with even more prizes and chances to win! 1 in 5 chances to win this year! PROPERTY TRACKER REWARDS – Use the online property tracker to keep track of the pieces you’ve collected so far. For every 10 codes you enter, you will earn a discount reward. Maximum 4 rewards per person. THE MY McD’S APP SWEEPSTAKES – New in 2017 is the My McD’s App Sweepstakes. To enter, scan up to 3 offers per week from the My McD’s app to earn entries into the weekly draw for $5000 cash! Limit 3 entries per week. Contest closes November 13, 2017 or while supplies last.